Lamia al-Gailani, the doyenne of Iraqi archaeologists and experts in ancient Mesopotamia, died in Amman in Jordan on 18 January at the age of 80. 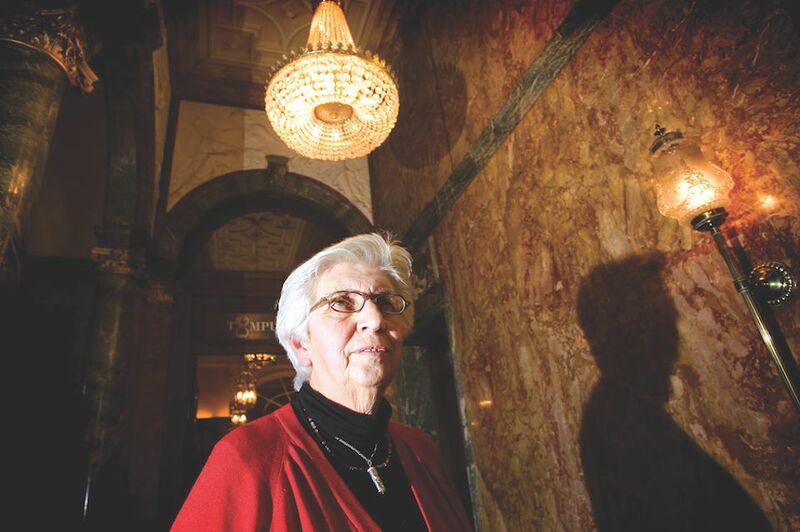 She came to international attention in the years following the looting of the Iraq Museum in April 2003 when she worked tirelessly to rebuild morale, organise training for the staff and coordinate efforts to retrieve the stolen antiquities. For much of her life she lived in Britain but made frequent visits to Iraq, and was the main point of contact between museum and university colleagues there and their counterparts in the UK. She was born in Baghdad on 8 March 1938 into a distinguished Iraqi family that traces its descent from Abdul Qadir al-Gailani (Jilani), a 12th-century mystic who founded a Sufi religious order. His mausoleum in Baghdad, which is now at the centre of a religious complex that includes a mosque and a library, was badly damaged by a car bomb attack in 2007. Another ancestor, Abd al-Rahman al-Gailani, was the first prime minister of Iraq (1920-22). Gailani studied briefly in the University of Baghdad and later at the Universities of Cambridge (BA) and Edinburgh (MA), before finally writing a PhD thesis at the Institute of Archaeology in London University, completed in 1977, on studies in the chronology and regional style of Old Babylonian cylinder seals. This was published in 1988 in Malibu, California. She had a lifelong interest in cylinder seals—used to impress designs on clay tablets—and worked closely with luminaries such as Edith Porada, Barbara Parker (later Lady Mallowan) and Dominique Collon. It was therefore a particular disappointment to her that the Iraq Museum’s entire collection of 7,000 seals was stolen in 2003 and only a small number have since been recovered. Gailani published widely in English and Arabic on different aspects of Ancient Mesopotamia, and she even published herself - under the imprint of Nabu Publications - a series of volumes that were largely intended to make available to Western scholars important primary material (tablets from the Sumerian scribal schools or Edubba) that had been published in Arabic. Throughout her career she was a loyal and much-valued supporter of the British School of Archaeology in Iraq, which later became the British Institute for the Study of Iraq (BISI), and was its only honorary lifetime member. She contributed to many BISI initiatives, projects and conferences, and in 2009 was awarded its Gertrude Bell Memorial Gold Medal “for outstanding services to Mesopotamia archaeology”. Latterly she was an honorary research associate at University College London and then the School of Oriental and African Studies, and from September 2016 until July 2017 she was a visiting fellow at the Metropolitan Museum of Art in New York, writing a history of the Iraq Museum. For the last 10 years of her life, Gailani was much involved in the project to establish a new museum for Basrah. There had previously been one there, in an attractive courtyard house on Ashar Creek, but it had been looted in the aftermath of the First Gulf War and about half the contents stolen. The remainder was transferred to Baghdad and the museum closed in 1991. By 2008, when Basrah was occupied by the British army, it was in a dilapidated state and the army, in consultation with the Iraq authorities, suggested that a former palace of Saddam Hussein’s on the outskirts of Basrah on the banks of the Shatt al-Arab river, should be converted to become a new museum. This was one of the many palaces built by Saddam throughout Iraq; most were looted and badly damaged after the Second Gulf War. When the army withdrew in early 2009, following a top-level Iraqi decision that the so-called Lakeside Palace should become the new museum for Basrah, a steering committee—which became the charity Friends of Basrah Museum—was established in London to complete what was by now perceived as a British legacy project. From its inception, Gailani was a key member of this group. The project had an early boost with a generous donation from BP, and with this and other funds raised in the UK it was possible to renovate the building and install an exhibition in one of the galleries, dedicated to the history of the Basrah region, that opened on 27 September 2016. Subsequently, the charity secured a grant from the Cultural Protection Fund, which has enabled the three remaining galleries to be fitted out, and the entire museum will be opened on 19 March. Throughout, Gailani’s role has been crucial, visiting Basrah, working closely with the director of the museum, Qahtan Al Abeed, and liaising with authorities in Baghdad. Indeed, at the time of her death she was returning to the UK via Amman from Baghdad, where she had been selecting objects for Basrah Museum and arranging for them to them to be recorded and packed prior to transportation to Basrah. It is a tragedy that she did not live long enough to see the result of her work, but it is intended that her contribution will be suitably commemorated in the museum. Gailani was twice married, first to her second cousin, Abd al-Rahman al-Gailani, a sculptor and Islamic art historian, and secondly to George Werr, a London-based Jordanian businessman. Werr, who died in 2003, supported her interests and was a hospitable host to the many British and Iraqi colleagues who visited their house. After her death, Gailani’s body was taken from Amman to Baghdad, where there was a ceremony in the Iraq Museum following which, most appropriately, she was laid to rest in the Gailani shrine.